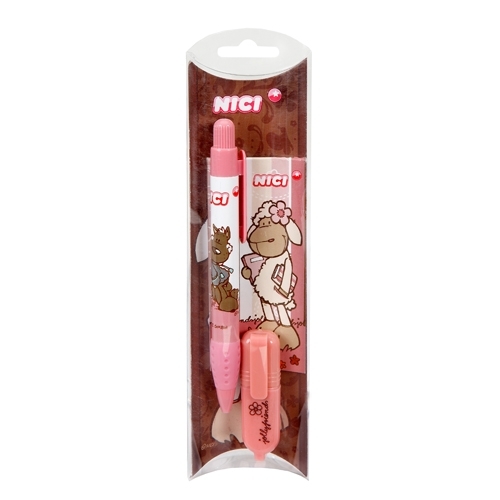 NICI.de came out with NICI School Accessories recently! 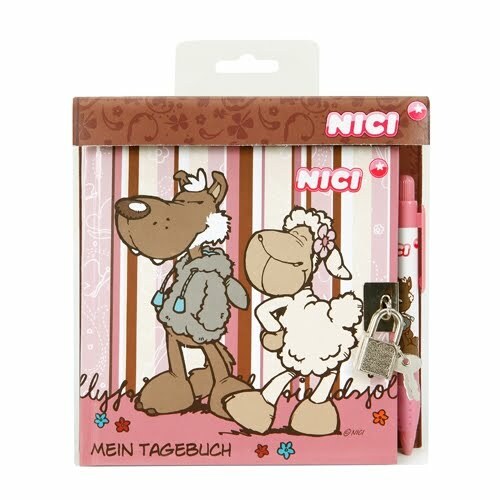 What piqued our interest for these nici school accessories is that we found new Jolly Rosa and Hugo Wolf merchandise! 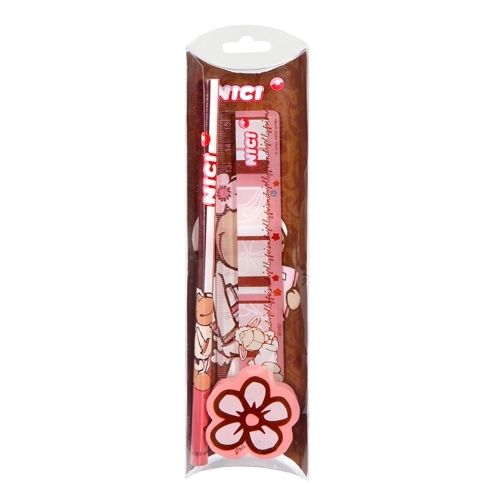 Was quite surprised that nici designed these 2011 new nici school accessories with them. Looks like its time to go back to school! Spot our favorite Jolly Rosa Hugo Wolf and also the newest Gustav & Elsa. I think we saw Sheebo on the side of the nici school bag too. 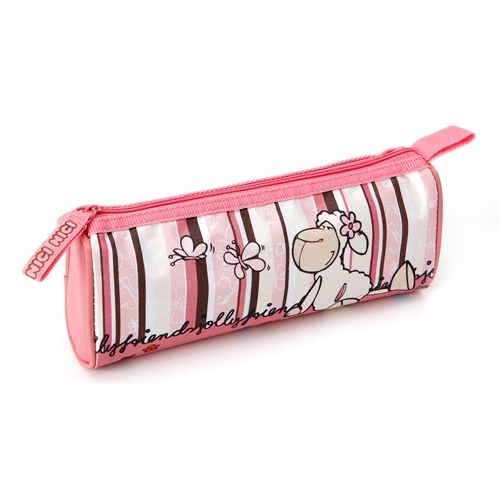 The pencil case design is cute, Rosa & Hugo + Elsa & Gustav goes on a double date! And it looks seemingly like a Jolly Rosa paper clip on the top right. with Jolly Elsa baking a cake for Gustav. 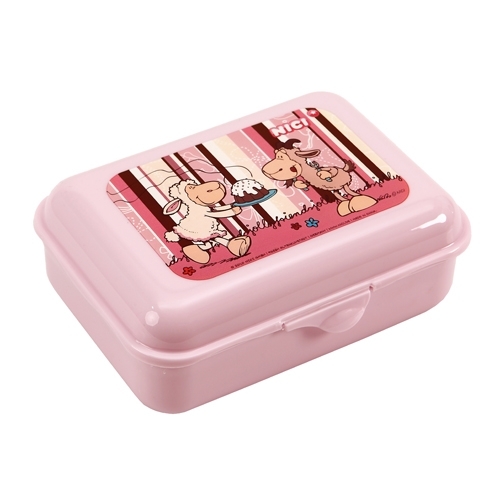 I would bring this nici snack box to school! Pencil + ruler + eraser right? That's Jolly Rosa's flower for the eraser. 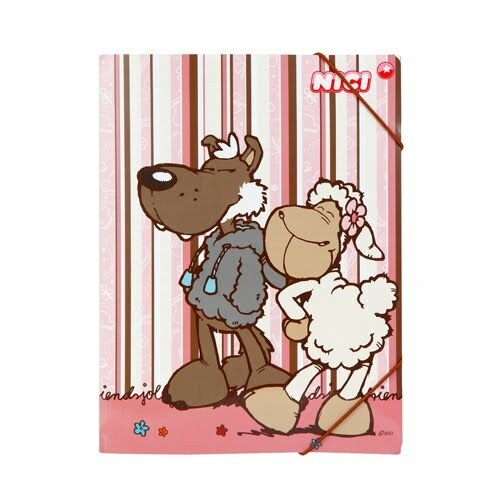 Hugo & Rosa on the diary cover. 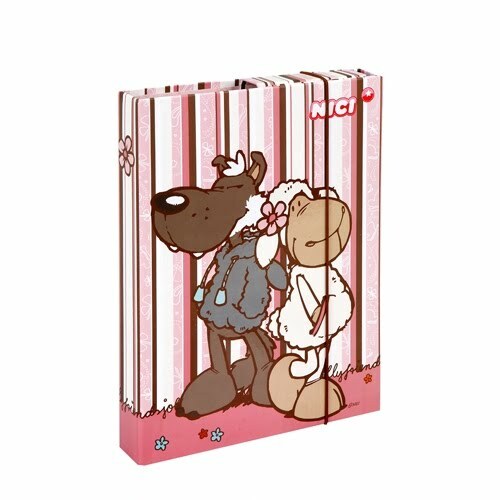 This nici school diary would make a beautiful gift umm..for ourselves! Jolly Rosa catching butterflies? Shouldn't Elsa be the one doing that? Not sure why are they calling it NICI Friends A5. 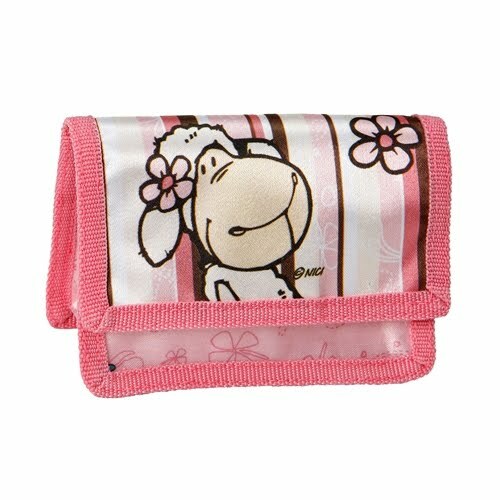 A pink Jolly Rosa purse! 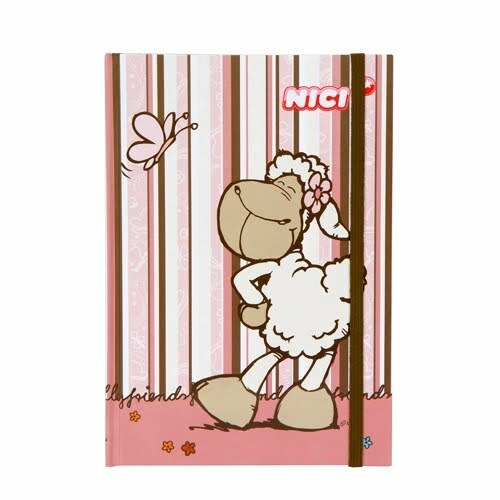 We have a grey hardcover nici notebook with Hugo wolf and other Jolly Mah sheep which is very nice! Hugo and Rosa looking extremely cute in this drawing. Different from the rest we saw above. 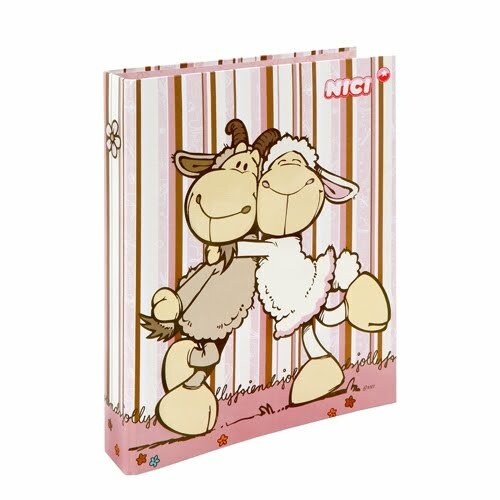 Same cover design as the nici spiral notebook. 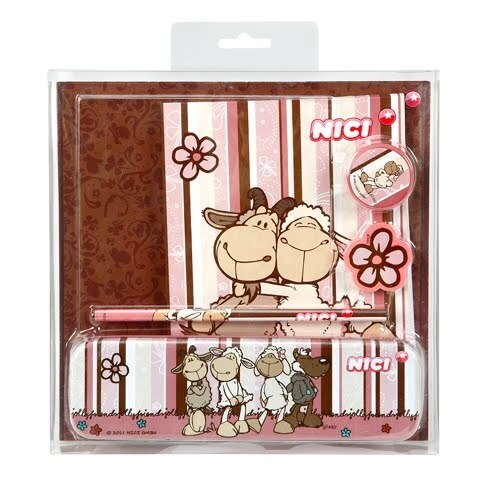 NICI.de came out with so many Hugo & Rosa nici school products tempting us want to go back to school! The cutest of all! Jolly Rosa + Hugo Wolf and we spot Jolly Liselle too, so one other nici character must be behind. 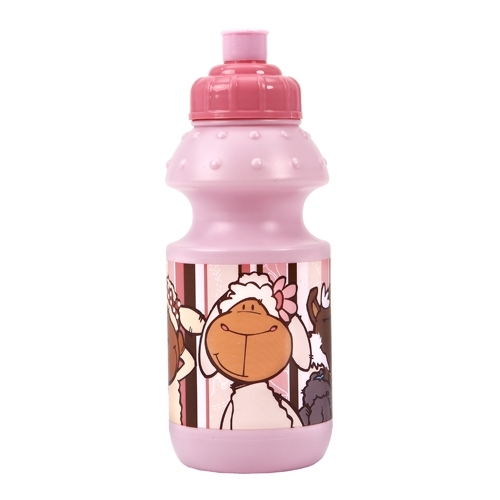 We would so wanna bring this nici sports bottle to school. with Elsa and Gustav. Does it look sporty enough to you? 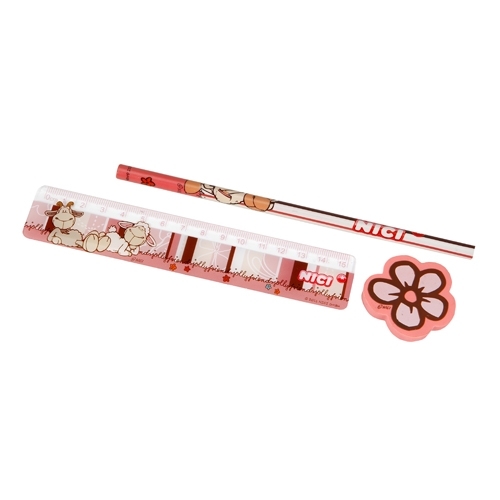 If we were still a young school girl nici lover, we would be so crazy about these new nici school accessories. Especially a nici school bag, bringing one to school would be so awesome. 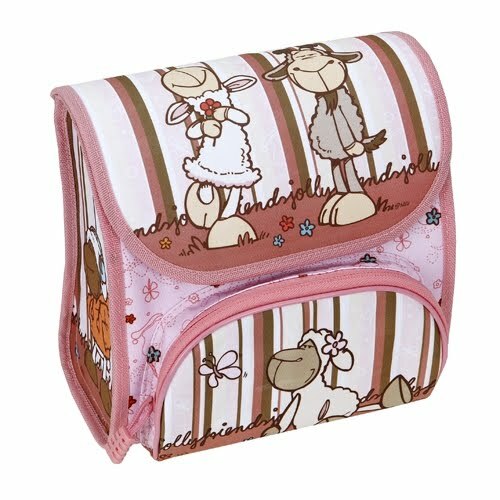 All the nici school accessories are generally not too expensive so, they look like great gifts for younger girls in our family. It is a pity that my years of school have finished many years ago (actually I am 36)... because this new stuff is really beautiful! Oh how beautiful it all, I love it! So it would be a pleasure to return to school haha. Wow i like the note books! its so cute! I found most of the Nici notebooks are glue binding type. 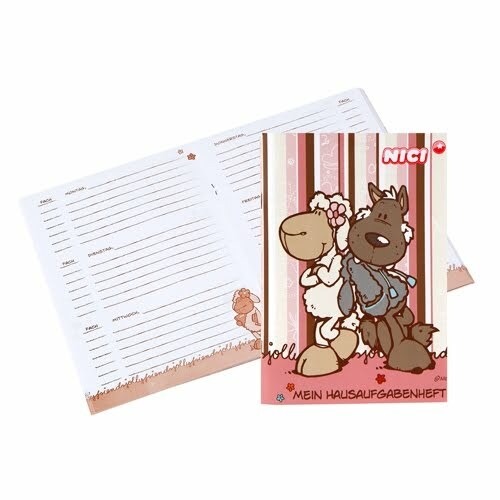 I hope Nici can have more spiral binding type notebook as they are more convenient and durable. I'm glad that I've found your nici-mania.blogspot.com site. Thanks for sharing this information. I find it very cognitive as I have been studying a lot lately on practical matters such as you talk about.